With Taiwan already enjoying a few of the ZenPad tablets, it’s not surprising to now see some reviews and hands-on photos. Case in point, we now see the first review of the 4G LTE model ZenPad 8.0 (Z380KL). You can certainly translate the review page unless you understand Mandarin. What we can say is what the summary review scores are from Sogi.com.tw. Overall, the Z380KL gets a review score of 8.5/10. They break down their review into categories, and those scores are as follows: Features 7.5/10, Performance 7/10, Cameras 7.5/10, Other 8/10, Total Score 39/50. This review is very much worth checking out. They are lucky and have access to a few of the accessories like the Power Case and Audio Cover. There are plenty of photos and hands-on videos within the review. 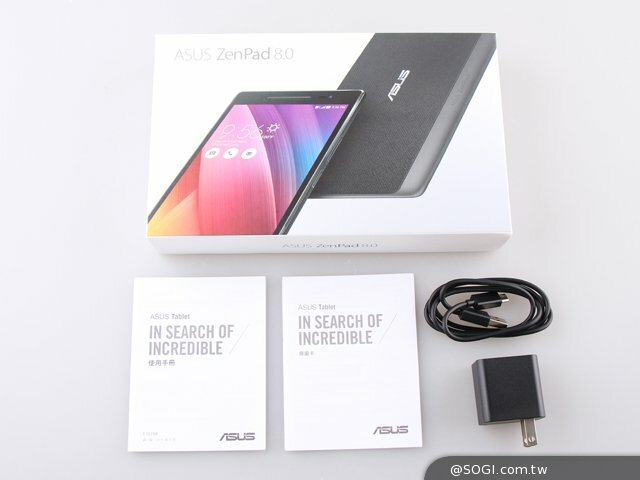 See the review on Sogi.com.tw here.